In 2016 the St John Ophthalmic Association (SOA) was formed, bringing together professionals from across the Priories of St John to promote the academic activities of the Order through enhanced teaching, training and research. 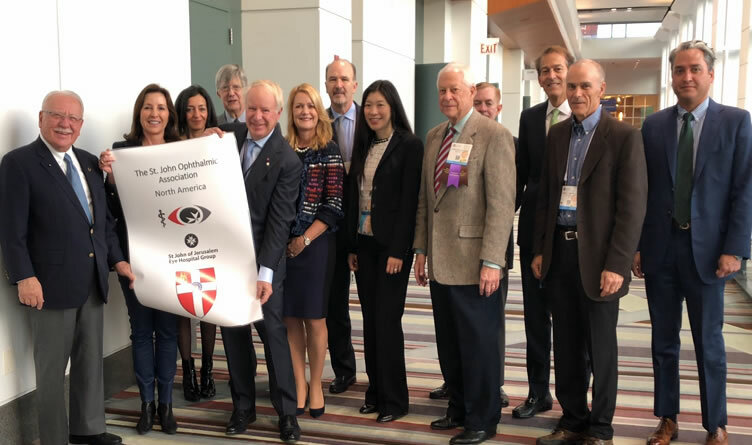 With support from the Priory of St John in the USA, the Americas Chapter of the St John Ophthalmic Association was launched in Chicago on 29th November 2018, joining the European, Middle Eastern, Asia-Pacific and African Chapters. We wish SOA-Americas all success in their support for the Hospital Group, and look forward to working with them with our on-line St John ‘Cutting Edge’ lecture series, and our first international scientific meeting in Washington DC the years ahead.